Selcuk is a lovely Turkish village with incredibly friendly people but most people only stay long enough to explore Ephesus and a couple of other sites. Some even dash down in one day on flights from Istanbul. I was lucky enough to have a more relaxed experience and to enjoy the hospitality of Ayasoluk Hotel. From the moment I arrived I felt part of the family. Management staff for friendly and so helpful I almost made up some problems so they could enjoy fixing them. They helped me plan my onward journey almost before the words were out of my mouth. I even joined the staff for family lunches (most of the staff are in fact related), giggling with the shy young girls and practising my awful Turkish on the chef who in turn threw out some English words and phrases. 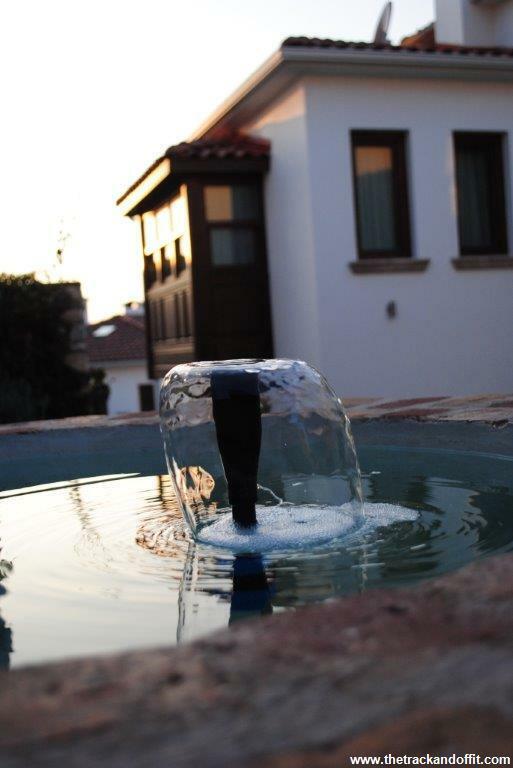 A Turkish/American couple designed then opened the 17 room boutique hotel on Ayasoluk hill in the middle of Selcuk, in mid 2014. The architecture fits well among the quiet village backstreets with it’s stone walls, wooden doors and window frames. The owners have a passion for service and hospitality which shows in the warmth of their staff. I really enjoyed my cosy room, especially the incredibly comfortable bed (I ended up sleeping late every morning, not wanting to get up). I had a gorgeous window seat overlooking the swimming pool and out a cross to the Seven Sleepers Hill, Meryemana and the Temple of Artemis. I spent a few hours reading here and, although the Wi-Fi was a little slow, managed to get a bit of work done too, when I wasn’t distracted by the view. 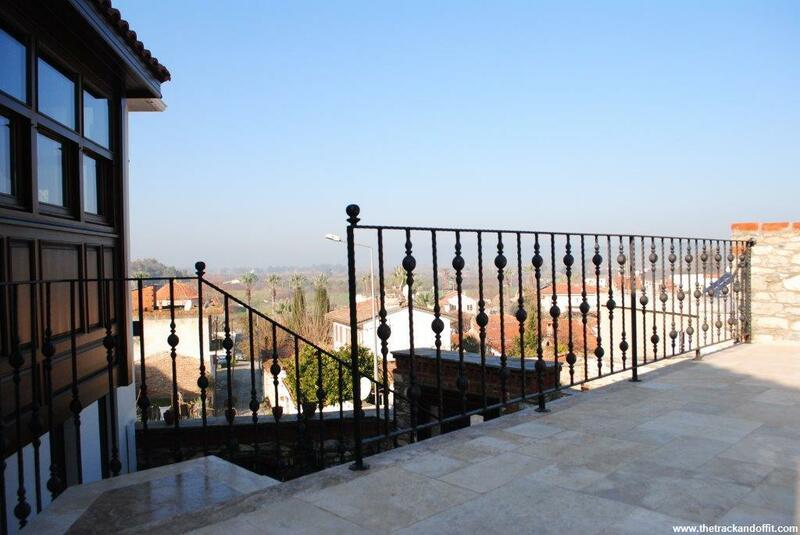 I also had a wee balcony which looked out the alleys and over to Isa Bey Mosque, St John’s Cathedral and Selcuk Castle. 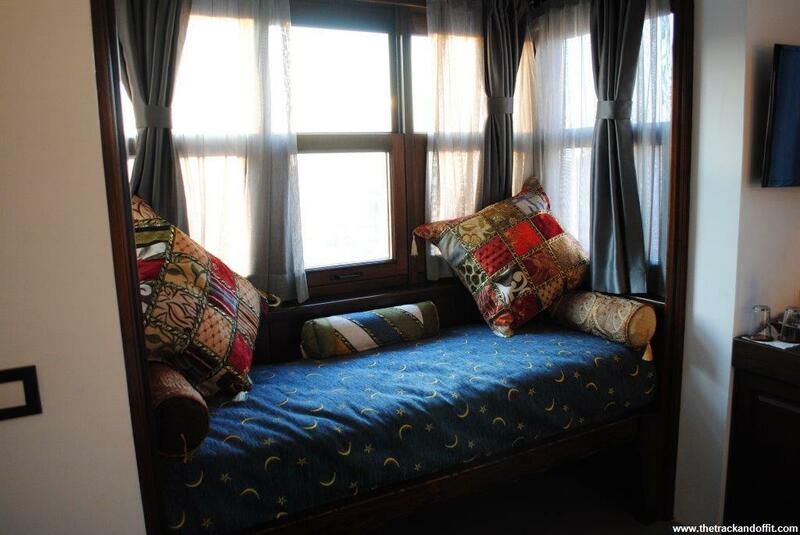 The decor was simple with Turkish carpets and cushion covers to brighten things up. Carpet making and selling has also been in the family for generations. The owner also has a carpet shop in town but there was no pressure to buy. I liked the superfast USB charging point. I only had one adaptor so my electronics didn’t have to fight each other. I didn’t have to get out for bed to reach the light switch either, everything I needed was within reach from my pillow. Every morning I got to indulge in yet another awesome Turkish breakfast. A buffet spread was brought to my table – bread, meat, eggs, fried potatoes, cheese, tomatoes, cucumber, a pastry and, of course, tea. No wonder I’m down to two meals a day in Turkey! I loved the courtyard setting of the hotel. 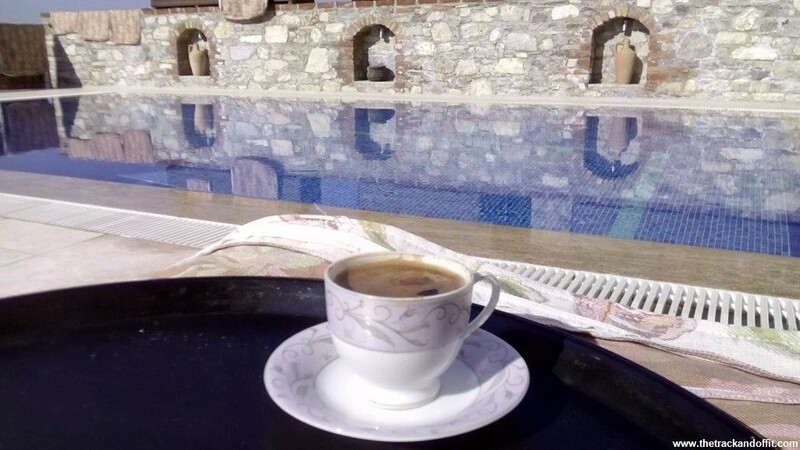 During my stay, the weather was more spring than winter and spent time relaxing by the pool (not quite warm enough for a dip), watching the view and reading while cups of tea and Turkish coffee were brought to me whenever I needed them. 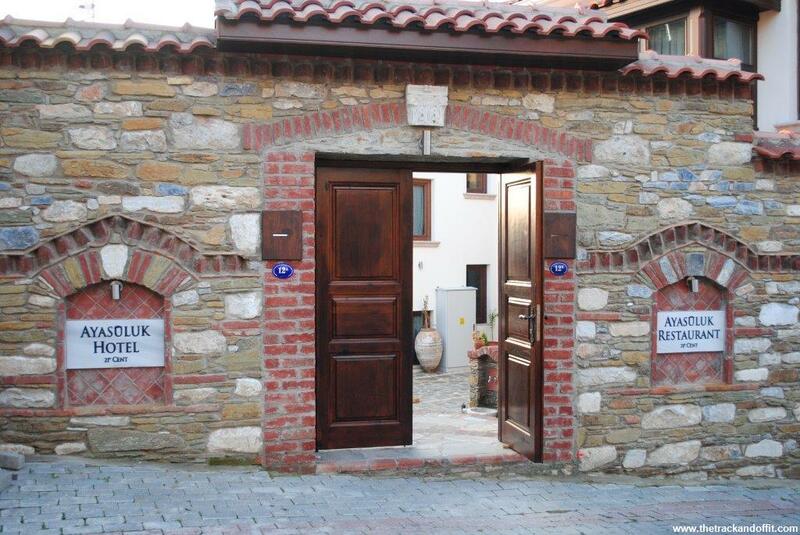 I especially loved Ayasoluk Hotel for the chance to relax in the surrounds of a peaceful Turkish village. A full time traveller needs to recuperate and this was an excellent place to do it. I was a guest of Ayasoluk Hotel but all opinions are my own and nobody from the company reviewed or approved the text. 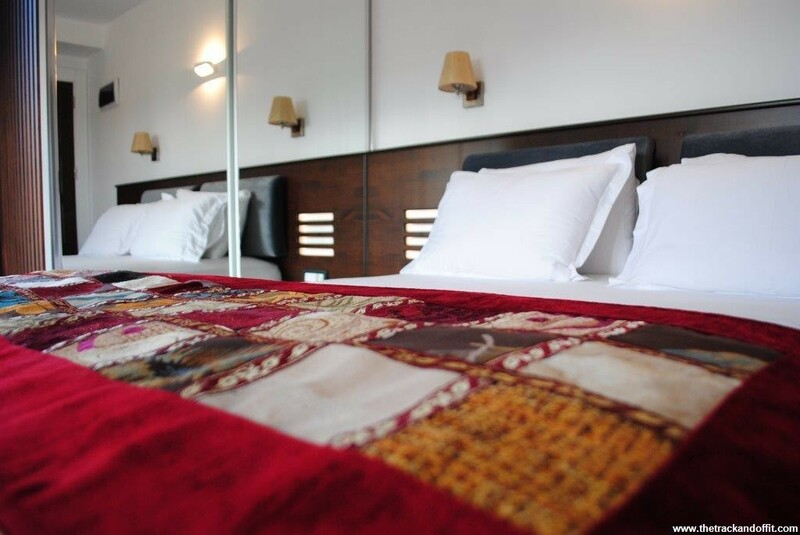 You can read my review of Ayasoluk Hotel at LuxuryandBoutiqueHotels.